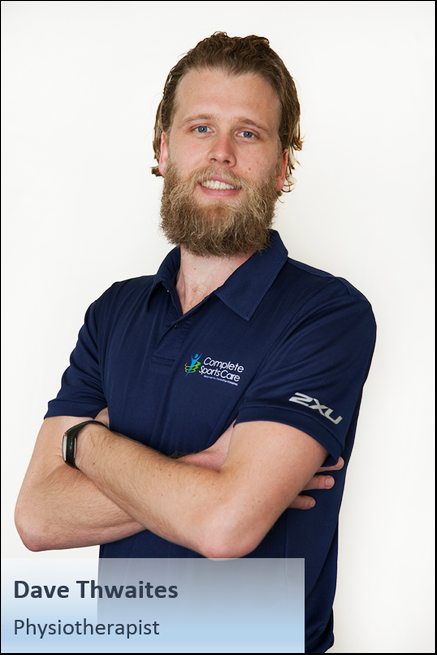 Hi, I’m Dave, a physiotherapist and Pilates instructor at Complete Sports Care. I graduated from Charles Sturt University in 2007, and after gaining private practice experience in Melbourne, spent 4 years in Europe where I worked in a variety of challenging roles including a tenure at the largest Sports Medicine Clinic in London, and a winter season in the French Alps. I take a progressive approach to managing musculoskeletal pain, and try to consider all aspects of the individual when designing a treatment plan. Having trained in Pilates, I enjoy using these skills to engage people in exercise and supporting them with their rehabilitation. After working with experts in the UK and Australia, I have also developed a strong skillset in running assessment and retraining to compliment comprehensive rehabilitation of lower limb injuries. Always striving to improve my practice and broaden my horizons, I have recently started my Masters by Research at La Trobe University. My project will look at the determinants of decision making by individuals with knee pain. With this project, I hope to improve the pathway of people with knee pain seeking evidence based treatment.